LONDON: Ministers have been urged to “toughen our terror laws” after it emerged only one in ten British jihadis have been prosecuted upon their return to the UK. 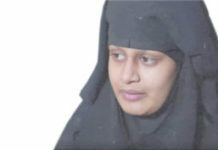 It is estimated that about 400 Britons have returned to the UK from the Middle East since 2012 after leaving to fight for terrorist groups such as Islamic State. Home Office Minister Ben Wallace, in a Commons debate on new counter-terrorism and security proposals, revealed that of the 400, around 40 had been prosecuted for “direct action they’ve carried out in Syria”. Mr Woodcock called on the Government to introduce a similar system to that in place in Australia, whereby certain areas are deemed illegal to travel to. 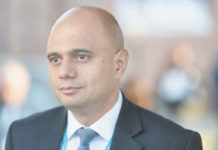 Home Secretary Sajid Javid said he would be “looking at just that”, adding: “There’s a bit more work to do on it, it’s not as straightforward as it might sound.” Mr Javid said he was taking a “long, hard, forensic look” at powers available to the police, security services and the judiciary to ensure they have what they need. He said the Bill would allow the police and MI5 to “disrupt threats earlier and to ensure that our laws reflect the modern use of the internet”. Earlier in the debate, shadow home secretary Diane Abbott voiced concerns over threats to freedom of speech by a lack of clarity in the Counter-Terrorism and Border Security Bill.